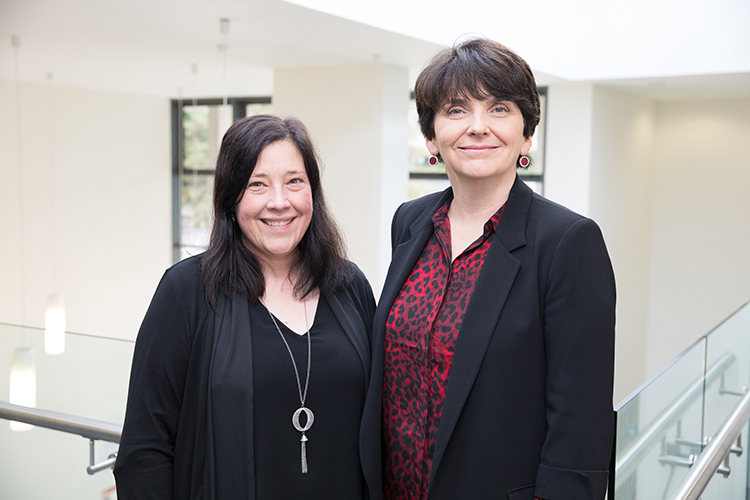 Associate Professor Crystal Fulton, UCD School of Information and Communication Studies, has won the UCD Research Impact Case Study Competition 2018 for her investigation into the social impact of problem gambling. The study, ‘Playing Social Roulette: The Impact of Gambling on Individuals and Society in Ireland’, was funded by the Department of Justice and Equality and the Irish Research Council, with support from the Department of Employment Affairs and Social Protection. Its findings were used by the Department of Justice and Equality to inform new regulations around gambling. They also helped service providers in aiding those affected by gambling addiction in Ireland and across the European Union. The award was presented by Professor Orla Feely, UCD Vice-President for Research, Innovation and Impact. The annual competition encourages researchers to consider the impact of their work and to outline and share this impact with a wider audience through a short case study. “When I began this research, I discovered I had uncovered the tip of a very large iceberg,” said Associate Professor Fulton. Over 40,000 people in Ireland are known to have a gambling addiction, and the work by the UCD researcher, published in 2015, found that people with gambling problems may have begun their habit as early as nine-years-old.